This book is the outcome of a study funded by the European Commission carried out by several European research organizations. The project has documented that proven, potentially feasible methodologies are available but that there is weak underlying data, insufficient inter-institutional linkages and imperfect mechanisms to harness that expertise. The expert group has developed methodological recommendations, identified methodological requirements and proposed the necessary steps and accompanying measures in order to carry out pertinent policy oriented research about homelessness. Integrated policy models developed in Denmark and Finland are preventing homelessness and assisting homeless people. It is acknowledged, however, that even in these countries people with multiple problems fall through the system of standard social protection. 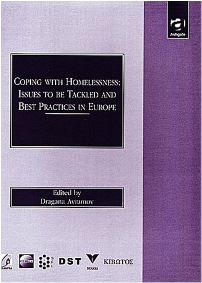 The book brings together state of the art research and service provision for homeless people in the European Union. It aims to promote informed policies and measures to prevent homelessness and assist homeless people.